This past Saturday Mother Nature was just not kind. Friday was beautiful, temps in the high 30s, light breeze, and sunny, Saturday was cloudy, a strong East wind and chances of rain/snow/sleet possible for most of the state. Sometimes you just have to load up and go, which is what David Gissell and I did. We headed down to Otter Creek Lake in search of some Yellow Bass action. 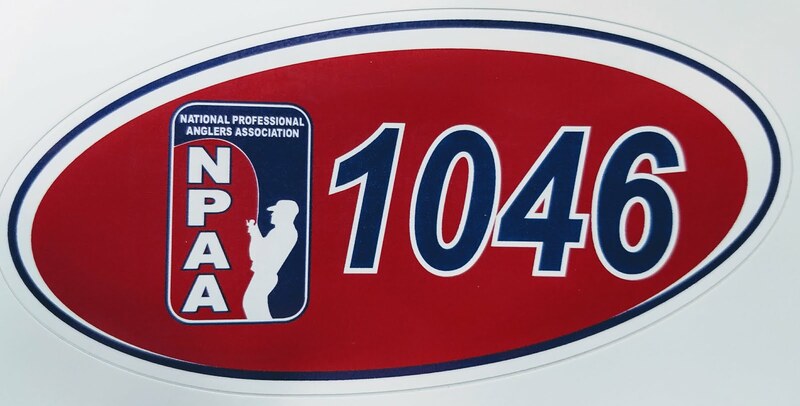 Now, if it wasn't late February and the ice season winding down we probably wouldn't have made the trip, but you never know how many weekends are left to hit the ice. We made the trip knowing that the weather would ultimately rule the day and probably force us off the ice sooner rather than later, so a 70-minute trip was as far as we wanted to go. A couple more Independence anglers met us there, as well as Chad Pietig from Marshalltown...always good to see the Marshalltown boys! With a stiff east wind predicted we knew it wasn't going to be an easy day...and it wasn't. 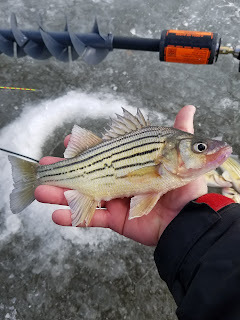 The yellows were pretty picking on this day and small jigs had to be used to trick most of the yellows, and as usual spoons came into play as well when the bite increased from time to time. One thing that I observed today was how easy it is to find fish while working as a group. At any given time we had 4-5 guys hopping from hole to hole in search of the fish. 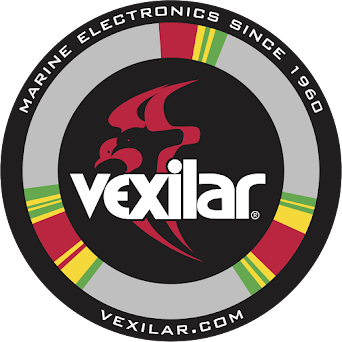 This is made really easy when everyone can be mobile with their Vexilars to cover dozens of holes in the matter of minutes. Turning up the cone angle on the Pro-View transducers and "stirring" the hole really helped to pick up some extra fish as well on the shallow flats. 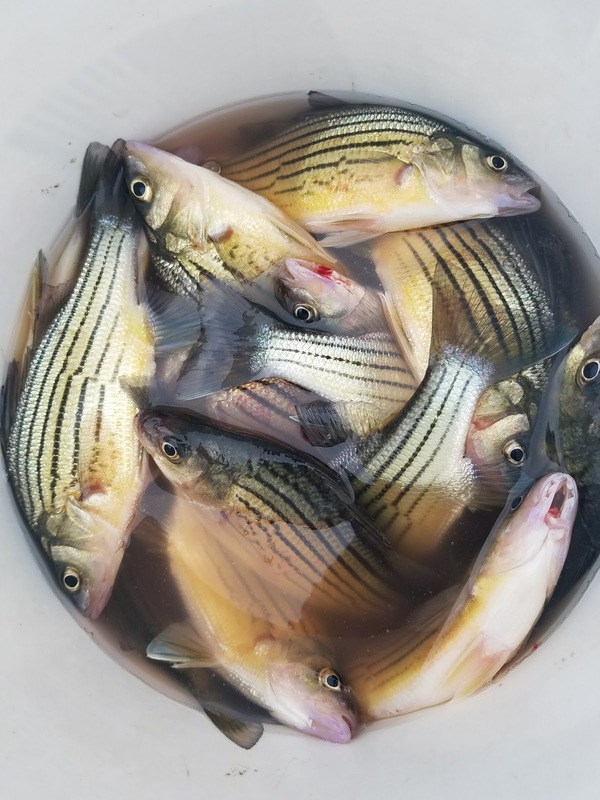 The action was pretty consistent, and the Vexilars were not black much at all, triggering the fish to bite was a challenge on this day. the old saying, "Fish bite least when the wind is from the East" was certainly true today. David and I ended up with about 40 keeper yellows, released many gills and some crappies as well. Using the group work method and the power of the Vexilars really made it a fun day on the ice, even though we had precipitation falling on us for several hours in the morning. The was solid, and will hang on for awhile there, but things will go pretty fast if we get more rain. Stay safe out there and remember to use all your ice fishing safety gear as the season winds down. This past Saturday was a unique opportunity I couldn't pass up. Holiday Lake, located near Brooklyn, IA held an open fishing day/derby. Anyone could pay $20 to enter in the event and fish the lake for a day, enjoy lunch and talk with the nearly 400 anglers that showed up. There were also dozens of prizes donated from businesses to help the event raise money. The main purpose for the event was to raise money for the fish committee of the lake. They have numerous fish structures in the lake, and have an extensive stocking program to make the fishing opportunities for the land owners a positive one year-round. 364 days a year the lake is closed to the public, only land owners in the Holiday Lake Association can fish the private lake. Like I said, this was a unique opportunity to chase down the famous gills and perch that I have heard about in this lake. The turnout for the event was probably more than the committee expected. Over 400 anglers showed up to participate in the special fishing day. I traveled down to the lake with David Gissell and met 3 friends from the Des Moines area to fish for the morning. No contour maps are available for the lake so the plan was simple...drill as many holes as possible and hop around to see where the fish were holding for the day. At times we had 3 different augers punching holes at the same time, covering water and constantly keeping the Vexilars in the water looking for the fish. We focused on the northeast cove and ended up with a pretty consistent bite for gills. Each guy in the group caught their limit of 10 gills or were within a fish or two of that feat. David caught the only crappie, a nice 12+ incher. 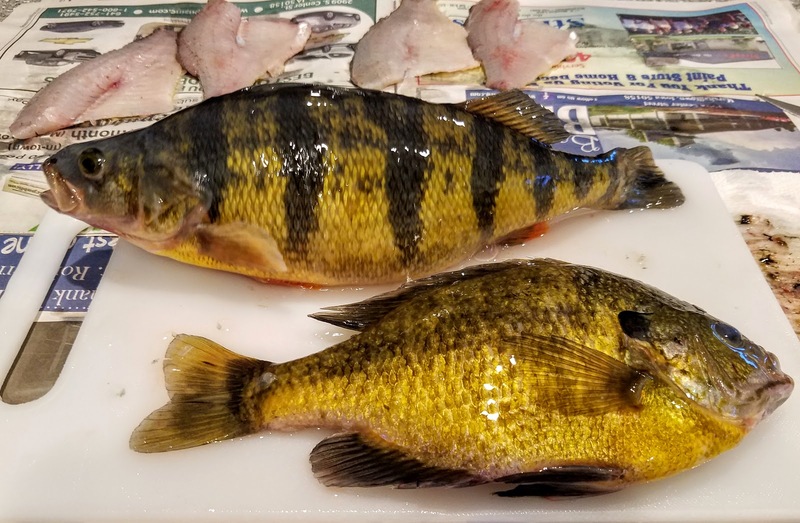 I ended up with the only 2 perch in the group, one that measured just over 12 inches. The group caught a couple walleyes as well. All-in-all it was a good fishing morning, as most of the gills we caught were of keeper size. We never found any structure to fish, so focusing on depths of water and the imaginary contour map we were creating with the augers and Vexilars kept us actively on fish. Down sizing jigs seemed to help after the first couple of hours of fishing, helping us to catch fish all the way up to the 1pm lunch time. 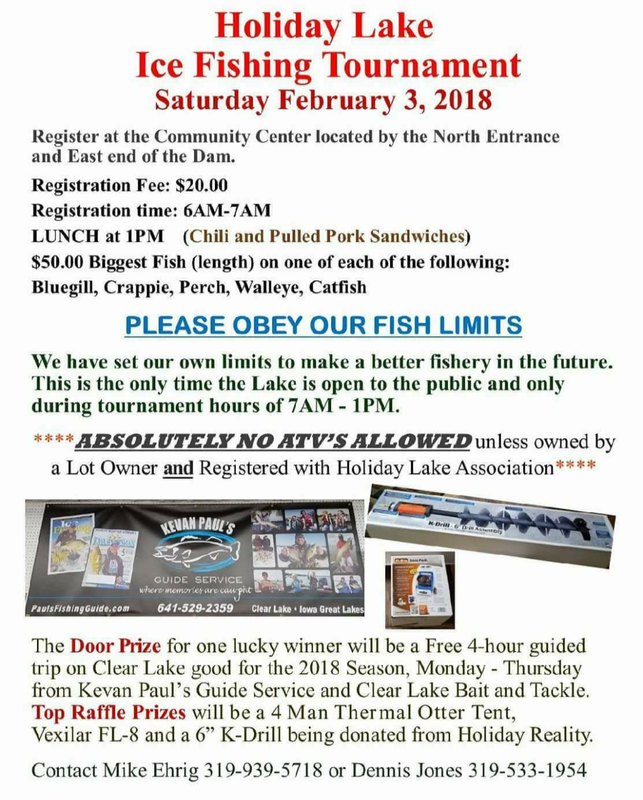 A big thanks to the Holiday Lake fish committee for making this day possible for anglers to try a different location to fish during the winter. Below is the flier from this year, and hopefully they will have a similar event next year, if they do, I highly suggest giving it a try.